PPDIOO | CCIE or Null! How can you build a better network? 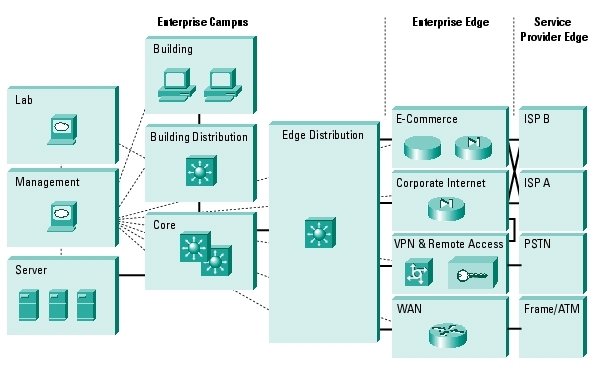 Often enough network engineers will be called upon to setup a network from the ground up. Whether it be a new branch office or a data center redesign it will be up to you to think up an efficient network design that can also be incorporated into the existing network seamlessly. Now depending on the size of the network that can be a daunting task, other times it could just be a simple ISR with an etherswitch module inside. When you have to consider VLANs, Spanning-Tree, IP Addressing, Security, QoS, VoIP, Security, L3 redundancy, WAN connections, hardware models, software version, and the list goes on daunting at first yes? Cisco does have ample resources out there to aid you in your task of designing Cisco networks who would have thought? One of the best resources I’ve found is the Cisco Design Zone this great website holds design details based on Technology, Industry, and architecture. While some of the guides can be quite large they go into very fine detail. The guides define advantages about using specific Cisco router or switch models along with sample configurations (best part in my opinion, seeing how it’s done) and some of the sample configurations have very convenient comments explaining the important points of the configurations. To sweeten the deal even more some of the guides show how the design correlates with Cisco’s SONA model which just adds volumes of worth while knowledge. Addition resources can be found by looking at the Cisco design certification track the CCDA & CCDP programs have certification prep books from Cisco Press. They offer some great reference on best practice methodology concerning network design. 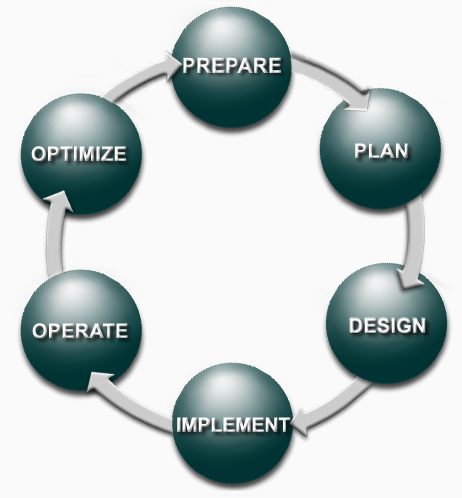 The PPDIOO design model is also a good principle to abide by. 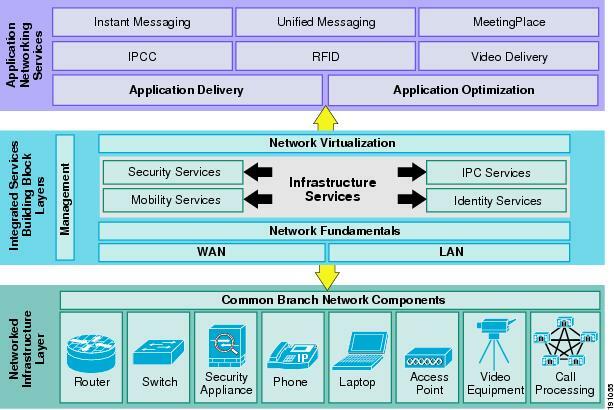 You can still see the Core, Distribution, and Access layers but you can also see the addition of many other layers a WAN layer for branch office connectivity, Internet layer, E-Commerce layer concerning where the rest of the world interacts with your companies public facing services, along with a few others. It breaks down any complicated network into a structured module portioning out where each device belongs. Now i’ve barely scratched the surface of Cisco’s network design concepts but if you want to see more definitely put the CDDA/CCDP books in your reading list, along with some guides from the Cisco Design Zone.